Gracing our cover this month is a singer who has grabbed the attention of millions with his incredible voice and heartwarming story. During our exclusive cover shoot, Hana Zuhair spoke to former Arab Idol winner Mohammed Assaf about his story, talent, and aspirations. Mohammed Assaf is an inspiration to many around the world. His story is one of perseverance and determination, with a bit of luck. Heading to the Arab Idol preliminary auditions, it took Mohammed Assaf days to reach Cairo from besieged Gaza only to find that his chance to realize his dream seemed to have gone to waste. The auditions for Arab Idol had already been completed, the participants had been chosen. Each participant had gotten his number and was waiting to get on stage before the judges. Assaf refused to accept the hopelessness that seemed to smack him in the face. He jumped over the fence of the building where the auditions were taking place. Although the security guards caught him, they let him in when they heard about all that he went through to get there. And as fate would have it, a touching act of generosity by another Palestinian participant named Ramadan Abu Nahl, saved the day for him. 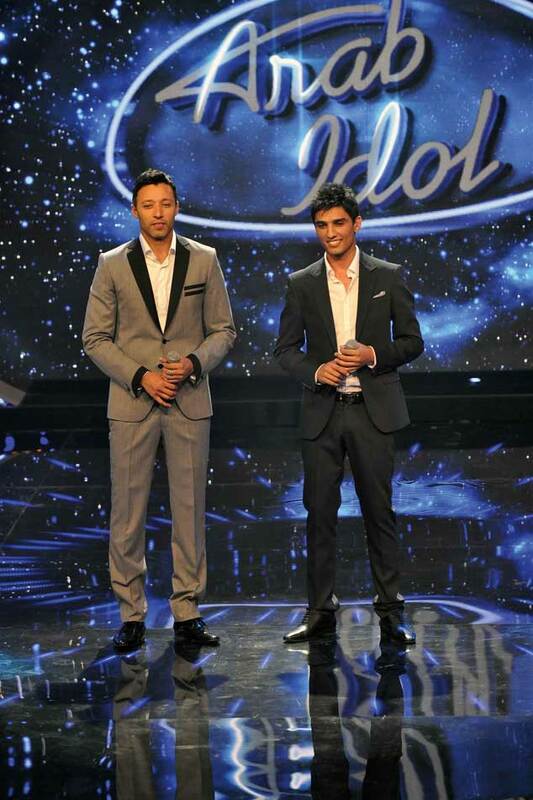 Abu Nahl decided to give Assaf his place in the competition! This amazing gesture was a defining moment in Assaf’s destiny. An incredible talent, Assaf, truly has a voice of gold. That’s according to the judges and the million viewers across the region and the world who picked him as the Arab Idol in 2013. Palestinians in particular were ecstatic. People took to the streets in Gaza and the West Bank to celebrate Assaf’s win, which was a recognition of Palestinian talent. Twenty six year old Assaf was beside himself. “I can never be able to properly put what I felt into words. To suddenly win a competition as big as Arab Idol, it’s an indescribable feeling that I’ll never forget,” he exclaimed..
Alongside his beautiful voice and his exciting win, his story also provided a glimmer of hope to many Palestinian youth who had lost faith in ever having their dreams come true. Assaf came from Gaza, a place that only knew suffering, where dreams seem to be out of bounds. His desire for singing started early on. Since he was five, singing came naturally to him. As he grew up, he started memorizing the opening songs of his favourite children’s series with such skill, that his parents noticed his talent. Assaf started singing at school events, then on national occasions. As he proceeded to sing on bigger stages his dream of becoming a singer grew more vivid, until it finally took him to Arab Idol and to global fame. Assaf feels that he wouldn’t have ever made it without his parents’ prayers. “My parents are very proud of me. I feel that I would be nothing without their prayers and support. I always take their advice and I believe my mother’s gut feeling is never, ever wrong. I’m pretty sure everyone knows what I’m talking about. She’s always right, even when I go against what she says,” he joked. Assaf has so much appreciation for the circumstances he once lived in and for his beloved country, that he never seems to stop talking about them, and he also doesn’t stop singing. He started our interview off by saying, “All I want to do is sing. I just want to sing.” And you can tell he’s truthful when you see how he constantly bursts into song with such a passionate smile in between the shots our photographer snapped one after the other. Assaf is self-taught, and according to him, he “learns something every day.” We are surprised when he tells us that he never took professional singing lessons. Ever modest and humble, he believes no one is born with a perfect talent, and he understands that he has to keep improving himself as a singer. The Arab Idol winner’s last album was released in October of last year and he’s currently working on his next one, which will mostly include songs in the Egyptian dialect. “There is a song for Egypt called Hekayty Ma’ak [My Story With You] by Amir Ta’ema. I’m looking forward to people listening to it,” he exclaimed. He’s also working on a duet with Sherine Abdel Wahab, who is dear to his heart. He also has a single coming out soon, as well as a video clip for a song from his last album. A film inspired by his journey and success, Idol, has already been produced. The film is directed by Oscar-nominated and Golden Globe award winner Palestinian Director Hany Abu Assad. The movie, Idol, was presented at Toronto’s International Film Festival last September. During the festival Assaf mentioned that he was very touched by the movie. The Arab sweetheart participated with three songs in the movie. Assaf’s voice is so pure that it reminds you of the legendary singer Abdel Halim Hafez. He is also a charmer like Hafez and has a unique presence. His beautiful smile catches everyone’s attention. And he definitely knows how to conduct a discussion, particularly about politics and religion, as a true Palestinian would be expected to. Assaf is simply a great guy all around. After meeting with him, we understood why he easily captured the hearts of millions.